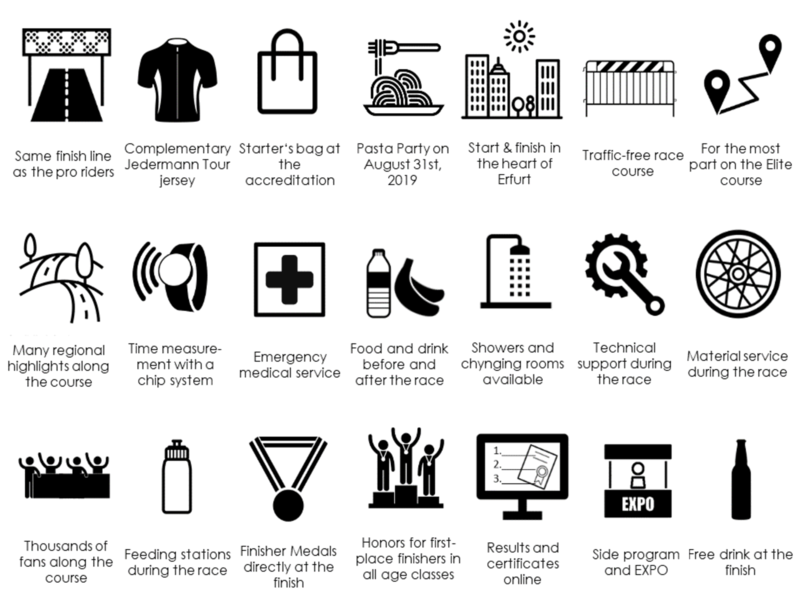 Register now for the Jedermann Tour in Thuringia - taking place just before the pro's last stage on September, 1st in Erfurt. Here you can find all necessary information about the registration. 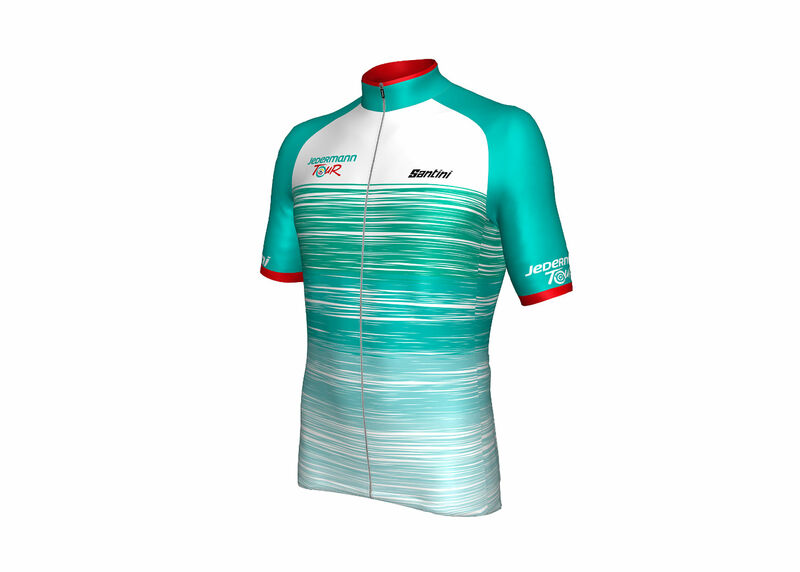 Enjoy two exciting courses on September, 1st, and get your exclusive Jedermann Tour Erfurt jersey from our official outfitter Santini. You can choose between a shorter race (52 kilometer, about 500 climbing meters) or a longer version (105 kilometers, about 1200 climbing meters). The longer course is aimed at ambitious hobby cyclists, and the shorter course is welcoming to beginners and can even be ridden on tandem bikes or totally without time measurement. Both courses will start from the Domplatz in the center of Erfurt and a professional atmosphere is guaranteed on the fully traffic-free course. In addition to the attractive, closed-off course, there is another special offer from the Jedermann Tour. By registering, every participant will receive a free jersey, to be given out with the start number. The official supplier of the Deutschland Tour, Santini Cycling Wear, is dressing not only the professionals, but is also providing the hobby cyclists with an exclusive jersey in Deutschland Tour design. In addition to a completely blocked off and secure course, you get many more advantages from your registration.